Austin is lovingly known as the Live Music Capital of the World with good reason - the city is no stranger to the big-name musicians who routinely rollick through town during the famed (one might argue infamous) Austin City Limits and South By Southwest annual festivals. But it also boasts a rich crop of home-grown artists with their own unique musical visions and flavors. Among them, a crown jewel of the Southern Rock scene: Marcia Ball, whose recent performance at Antone’s sent audience members down a dreamtime river full of Texas rockabilly and Gulf Coast blues riffs. Born in Orange, Texas, raised over the state line in Vinton, Louisiana, and based in Austin since 1970, Ball runs geographically and musically alongside greats such as Janis Joplin and Lonnie Brooks. This musical connection manifested in the show-opener “The Tattooed Lady and the Alligator Man” from her 2014 album of the same name. Her soulful vocals and adept keyboard skills were made further evident from tracks new and old, including “Lazy Blues,” “Married Life,” “He’s the One,” and the evocative “This Used to Be Paradise,” a ballad to the lost way of life of a fisherman grandfather that speaks to the current economic climate in Austin and around the country, from her Grammy-nominated 2011 album Roadside Attractions. Whether howling out keyboard lamentations such as “I Wish You Well” or tapping out swamp rock dance tunes like “Sugar Boogie,” Ball kept her audience always on their toes, swaying in their shoes and calling out for more. 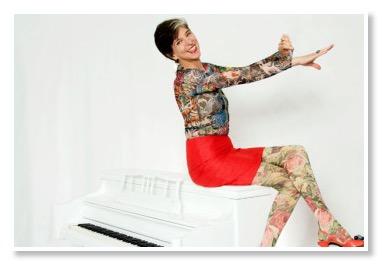 With her enigmatic stage presence and feel good, down-home songs to inspire dancing, laughing, crying and a truly Southern good time, it is easy to understand why Marcia Ball was honored with the 2012 Living Blues Award. Ball performed in conjunction with Jai Malano, Angela Strehli, and Lou Ann Barton as part of “Dreams Come True” to commemorate Antone’s 41st Anniversary as Austin’s own home of the blues.